​Every Monday morning a very mixed bunch of knitters gathers in St Mary's Church to knit items for distribution among local and international charities. Since 2014 our knitters have knitted literally hundreds of squares - plain or patterned according to taste and skill. Ninety-six squares make up a unique blanket, each one crafted with love. Several dozen of these have been sent to displaced families in northern Iraq and Syria via Samara's Aid Appeal. We're also knitting the tiniest of baby jackets for the Trevor Mann Baby Unit at the Royal Sussex County Hospital. The patterns are quite simple ones, and the items are satisfying to knit as, being so small, they are completed very quickly! We also make twiddle muffs, which are occupational therapy mittens for people living with advanced dementia. Please drop in if you fancy some convivial knitting and conversation time while also doing something practical to help people in need. We provide all materials, tea and biscuits, and friendly chat, while our lead knitter Jane, who is a textile genius, will also teach you how to knit if it's a skill you've yet to acquire. Art and Inspiration is a small, friendly discussion group, open to all, which is led by different speakers each week on a work or tradition of art, music or literature that is close to their heart. The group is free to attend and meets over coffee in the church hall next to St Mary’s. The hall is warm and wheelchair accessible with an accessible toilet. ​Topics for this term's series are below. Please phone 01273 698601 if you have any queries. Jesus is Condemned to Death. 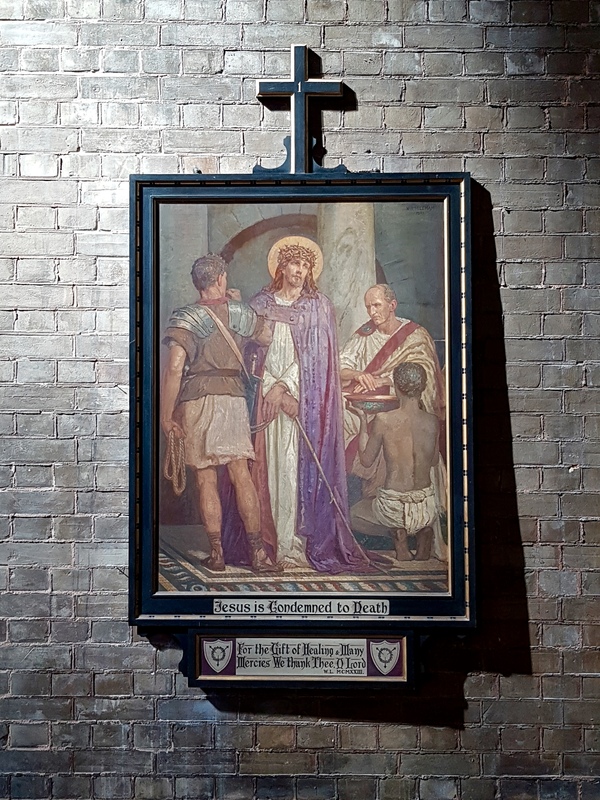 Second Station of the Cross, by Hove artist, Harry Mileham, 1923. Our friendly, inclusive parent & toddler group runs in our church hall on Tuesday afternoons from 2.30 to 4 pm. The entrance to the hall is in St Mary's Place, immediately to the east of the church. The group is run by volunteers from St Mary’s. We welcome people of all faiths and none and hope you'll feel comfortable with us whatever your beliefs. Our group leader is Suzie, who's a qualified teacher and mum to Ella, aged 2. She’s assisted by Shelley, our volunteer manager, and sometimes too Fr Andrew, our priest, and Katherine, one of our churchwardens. We’re always happy to chat and answer questions. To help cover the costs of snacks for the littlies and afternoon tea for the grown-ups, we ask that parents pay £1.50 for the first child, and £1 for a second. But this isn't obligatory. Please speak with one of our volunteers if this would prevent you from bringing a child to the Koalas. Please also let us know if you'd be interested in an afternoon group on another day of the week. We may be able to offer one on a Monday or Friday afternoon. Every Wednesday afternoon in school term time, St Mary's joins forces with the Community Service team from Brighton College and local Brighton charity Time to Talk Befriending to host a drop-in friendship cafe for people who'd like to get out a bit more and engage with others. 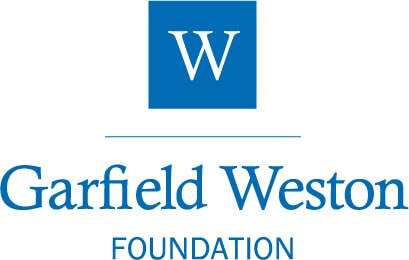 Thanks to our partners, donors and lovely volunteers, it's entirely free. There's great food (and often doggie bags to take home too), tea and coffee, lots of friendly chat and often live music as well. We can sometimes help with transport, so if you're interested in attending or know someone who might benefit, give us a call on 01273 698601. 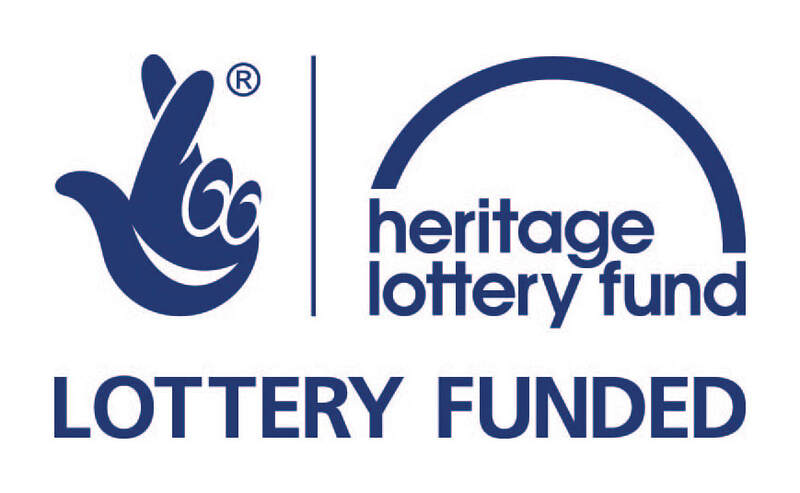 February 2017: A big thank you to the Sussex Community Foundation, East Brighton Trust and the Arthur & Doreen Green Fund for the funding to buy our new round tables. It's more convivial, easier access for wheelchairs, and we have more circulation room! June 2017: And another big thank you to Sussex Police for the grant of £400 from Police Property Fund to permit us to buy a new fridge-freezer. That makes a really big difference! 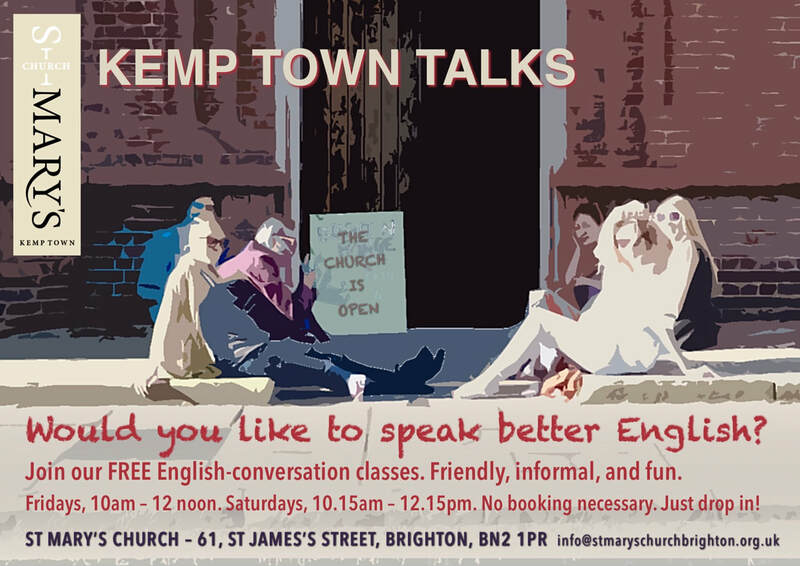 St Mary's holds free, drop-in classes for people who want to improve their English conversation skills. We have friendly, experienced EFL teachers who will get you talking confidently and who will also coach you individually for a particular examination or test. ​There's tea and coffee available and a great bunch of volunteers to liven things up - plus Magnus the Scottie dog, who has terrible verbal skills but who understands anyone who gives him a friendly pat and a dog biscuit. No need to book. Just turn up at the church on Friday or Saturday morning - or both!